A moment of inspiration is all that’s needed to spark a designer’s imagination. 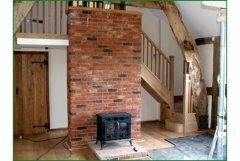 At Pear Stairs, we are keen for you to be that designer, and will work with you to plan and create your ideal staircase. Birmingham’s city centre contains plenty of architectural features that are designed to draw the eye, such as the Selfridge’s building. Why not create your own ground breaking design for a staircase based on our stair parts, featuring metal spindles and a decorative balustrade? The Bullring shopping centre is an equally famous feature of the city centre, and its balustrade uses parts that could be used to create a classy staircase in your home. 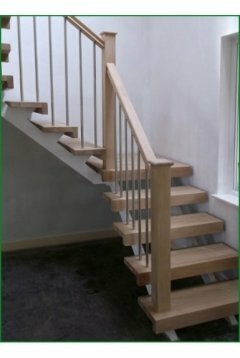 Metal spindles, wooden banisters and glass panels are all available from the Pear Stairs website, and our experienced team are available to discuss your staircase plans. Our highest priority is providing you with a custom built staircase that not only looks good, but fully meets your needs, and leaves you with a lasting sense of quality. Whatever the source of inspiration for your Birmingham staircase, Pear Stairs can provide the parts to fully realise your plans, including wooden spindles, metal spindles, banisters and balustrades.